This month only, February 2017, Scentsy is offering an awesome special that is the perfect way to get your hands on the oh-so awesome Scentsy Diffusers and Essential and Natural Oils! BUY ANY SCENTSY DIFFUSER, GET 3 FREE OILS! The Scentsy Diffusers are truly amazing! Not only are they beautiful reflecting modern tastes and trends, but they also offer industry-leading functionality that truly set them apart from other diffusers. 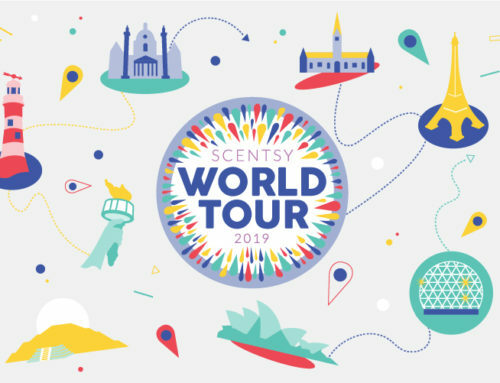 The designs are handcrafted, artisan-inspired paired with a dazzling display of color and light, each Scentsy Diffuser is unique and a true masterpiece. When Scentsy introduced it’s collection of magnificent diffusers we blogged about them so to find out what makes these diffusers so cool and so full of amazing features, check out our blog post titled Scentsy Essential Oil Ultrasonic Diffusers. Buy online from my Scentsy Website! Here’s how it works – Once you select which of the Scentsy Diffusers you’d like you then get to choose three Oils from the list below. IN ADDITION to this great sale, all Scentsy Diffusers are 10% off! Then again, everything on my Scentsy website is 10% off as well during the month of February. That means you’re Scentsy Diffuser will already be at a discounted price AND you’ll get three free oils. This is a great, great deal and the best way to get yourself, or friend, or significant other an amazing new Scentsy Diffuser! All Scentsy Diffusers are 10% off. EVERY Diffuser sold in February receives 3 FREE Scentsy Oils from the list above. These are available to be purchased with Host Rewards which means if you have a party, or an order over $200 than you can purchase a diffuser at half price or apply your product credit towards the purchase of the diffuser! Three great reasons this diffuser special is such a great deal! So if we’ve piqued your curiosity, visit my Scentsy Website where you can buy online the Scentsy diffuser special. Please be aware that supplies for this promotion are limited, but all Diffusers and Oils will still be available for individual sale if the items allocated for the promotion have sold out.